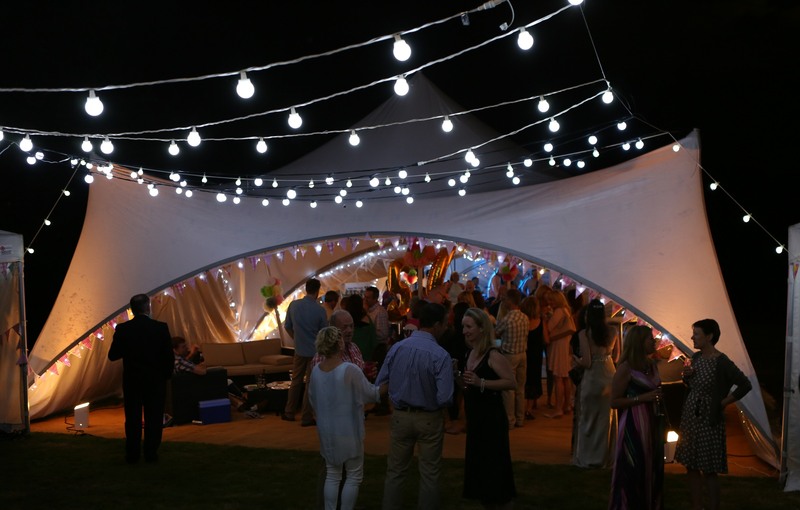 Traditional look indoor & outdoor festoon lighting for all occasions. 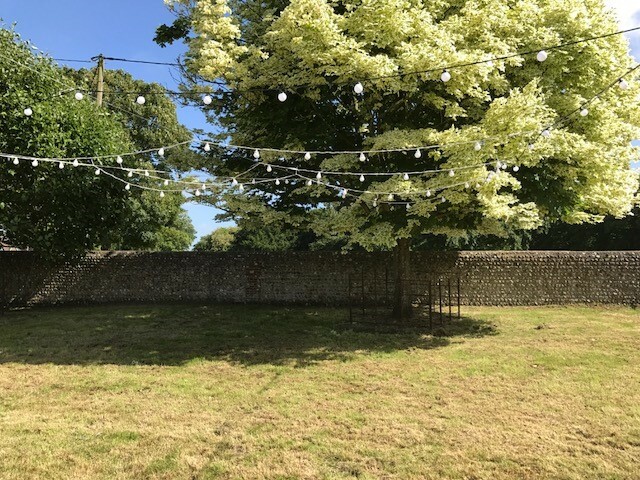 These Festoon lights are perfect for brightening up your Gazebo or Marquee or adding some sparkle at a wedding or special celebration. 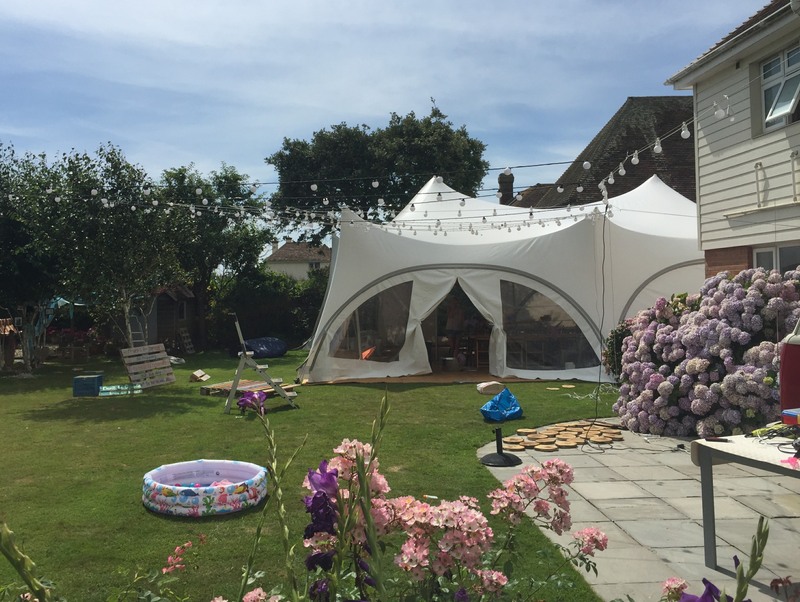 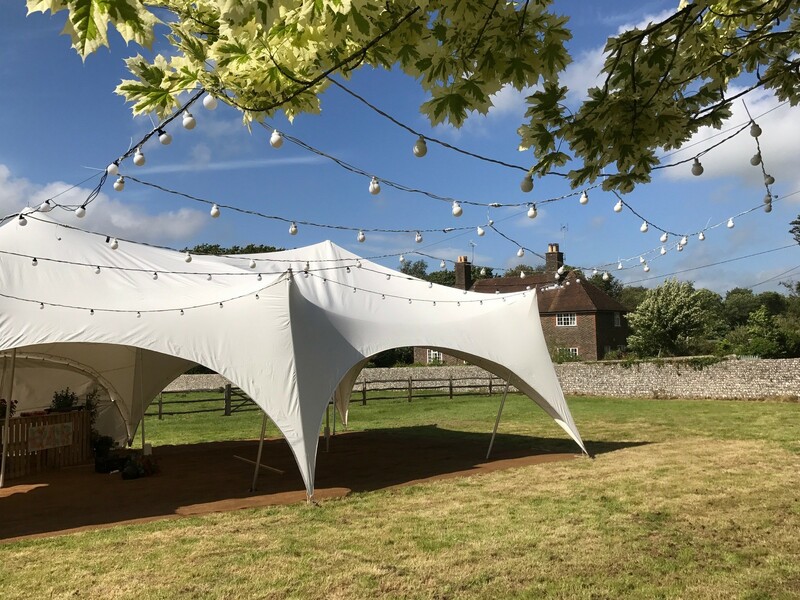 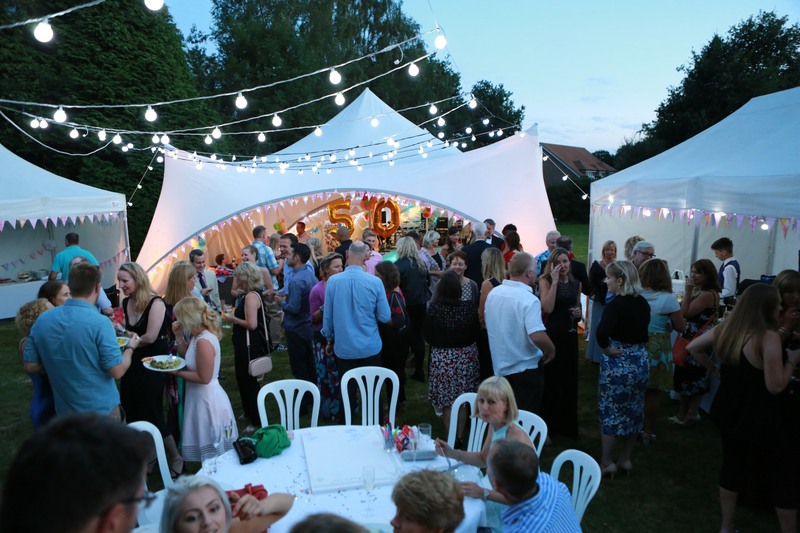 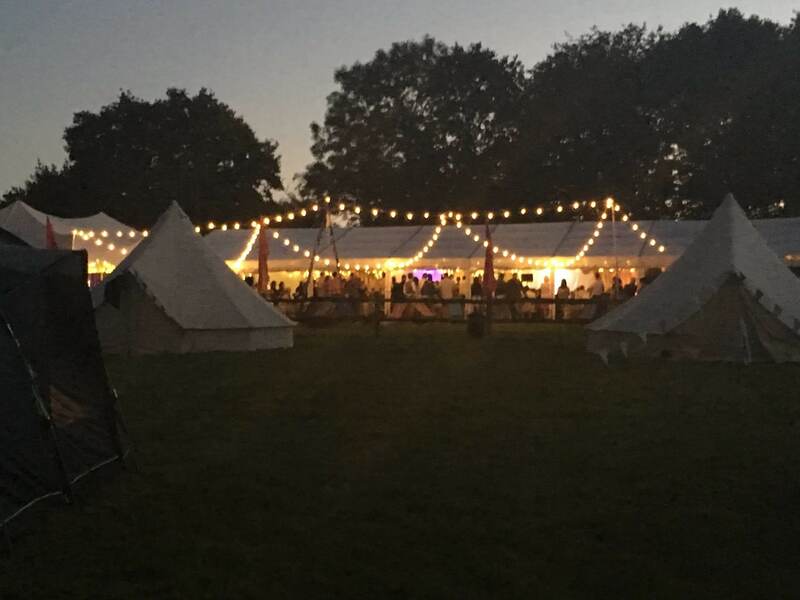 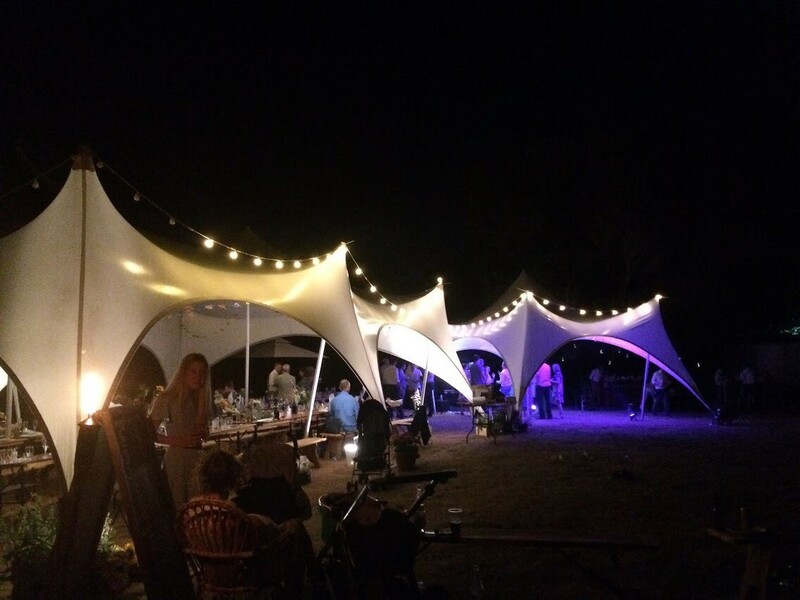 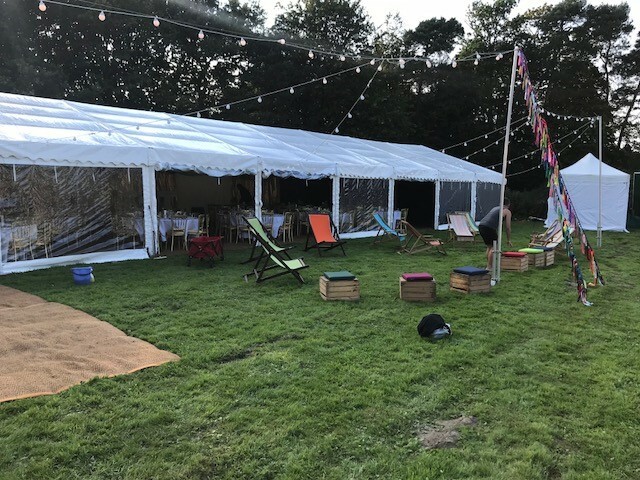 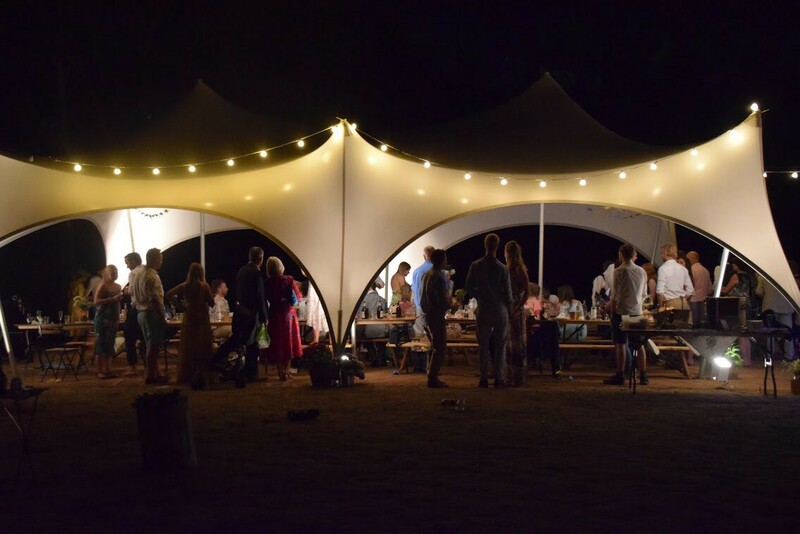 We can create from the Marquee as in the above pictures a Festoon Canopy which creates a fantastic ambience for your party. 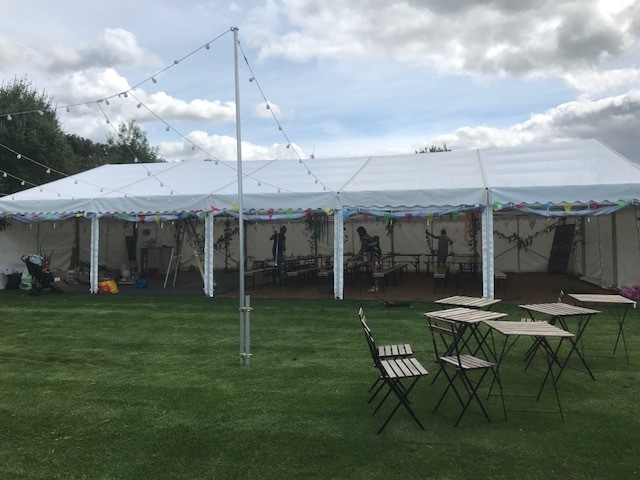 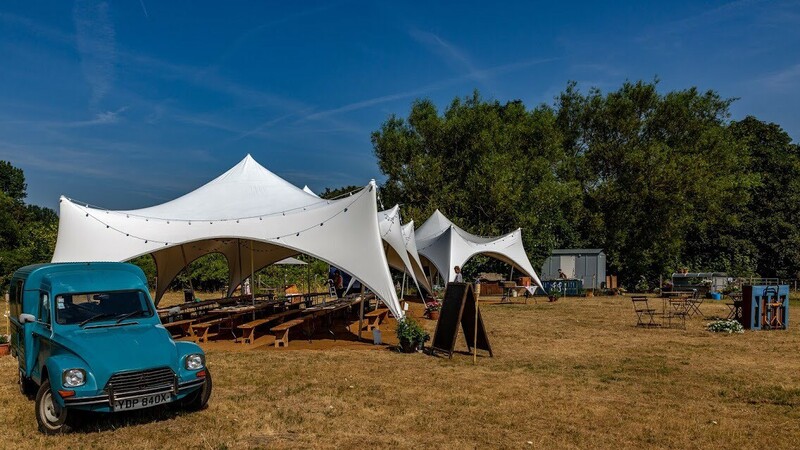 We can either link it around your marquee or we can add poles ( additional cost) and create a canopy outside your marquee. 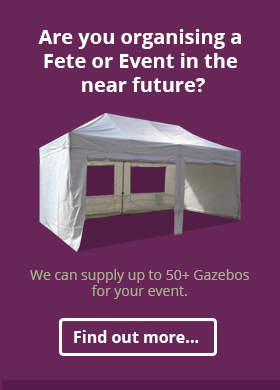 Prices start from £125.00 for a 50 m Canopy, other sizes available on request. 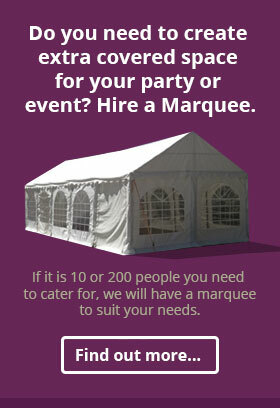 Call now for a quote. 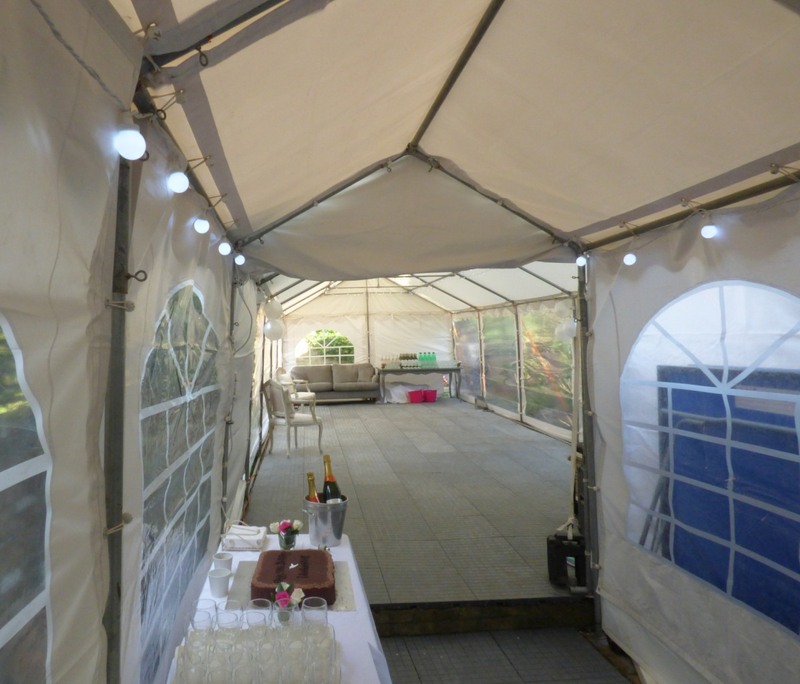 Individual lengths inside a Gazebo Marquee. 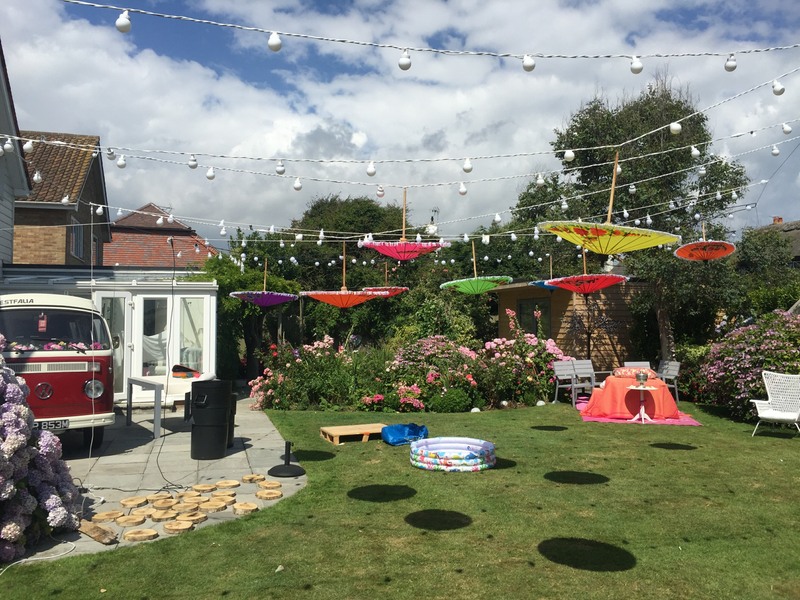 This set 5 metre in length has 12 waterproof globes mounted 40 cm apart on a durable white rubber cable. 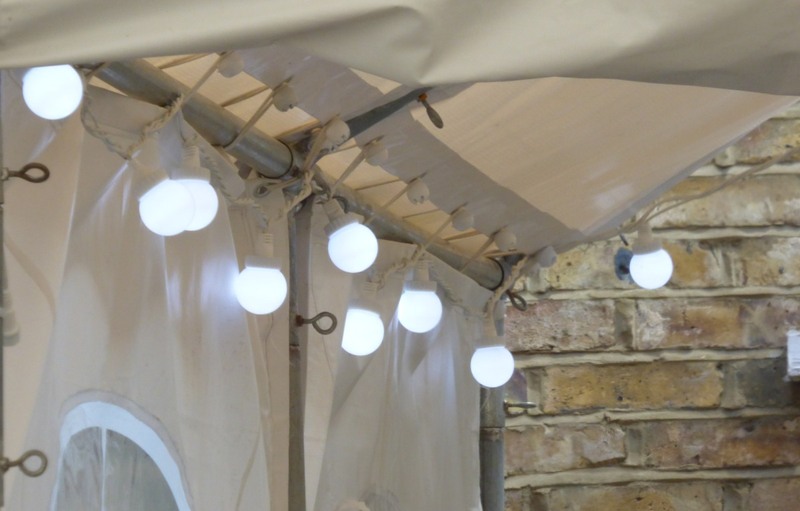 Each globe measures 4.5cm in diameter and contains a single ultra-bright warm white LED bulb. 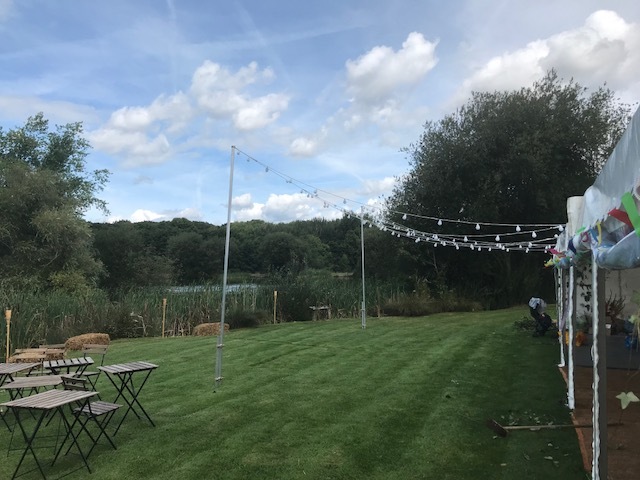 Supplied with a handy 5 metres of lead cable and the latest low voltage transformer plug with built in 8 function controller. 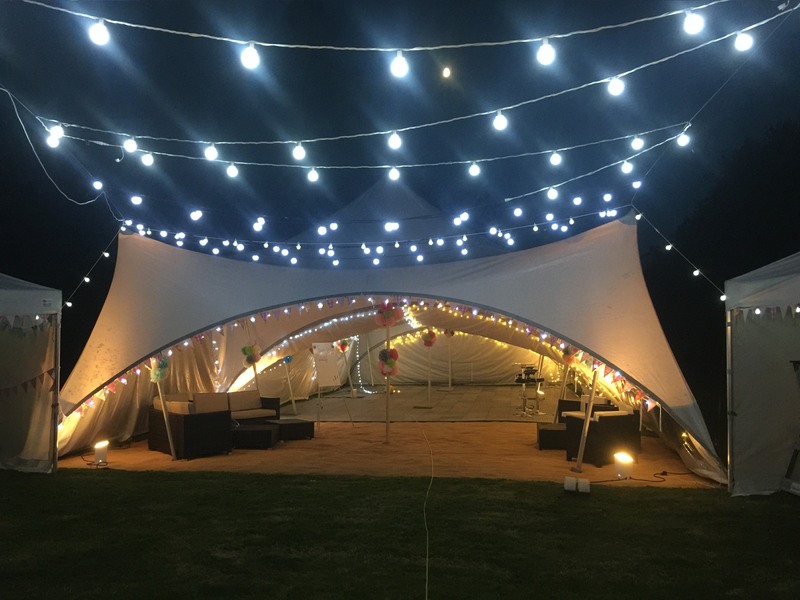 You can connect up to 30 sets together . 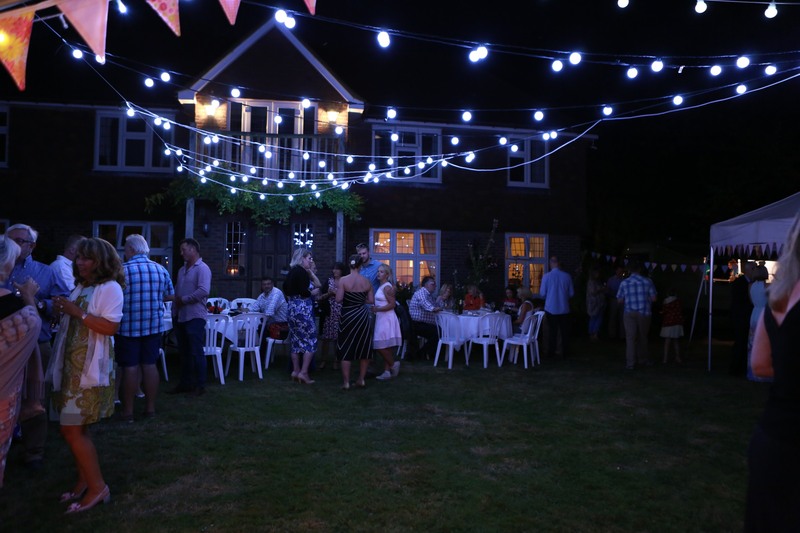 Hire of 5 M Length of Festoon Lighting £15.00 Fitting and take down £10.00 Per 5 m length.